From a distance, it looks just like another white sand dune. But a closer look reveals a magnificent building of glass and concrete. 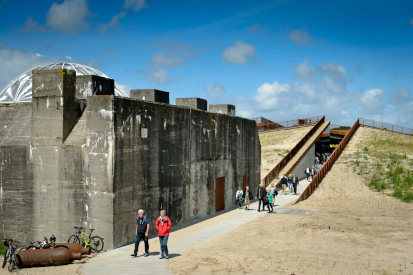 Tirpitz in Blåvand offers stunning architecture and interactive exhibitions that will change your view of the Danish west coast forever. Not in their wildest dreams could the people behind Tirpitz have imagined how big a success the museum would turn out to be, even if, having received a lot of positive publicity, hopes were high. The estimation was 100,000 visitors in its first year. Instead, Tirpitz is now closing in on 300,000. 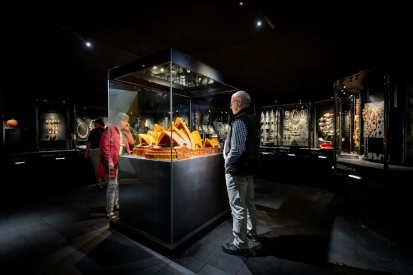 “This past year has been absolutely incredible and we are very happy that the guests have shown such huge interest in the museum,” says Claus Kjeld Jensen, museum director at Vardemuseerne, of which Tirpitz is a part. “And we are especially glad that we’ve had so many families visiting, since that was one of the things we hoped for. Our ambition was to bring in people who perhaps don’t really visit museums, and I think we have succeeded in doing just that.” People from all over Denmark have visited the museum in the last year, but there have also been many guests from Sweden, Norway, Germany, Holland,the UK and France. That Tirpitz has had three times more guests than anticipated has, of course, been tremendous for the museum, but even more pleasing is the way in which guests have engaged with the museum. 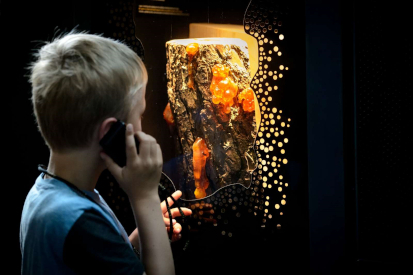 In addition to the audio guide, Tirpitz offers lots of interactive experiences. In the exhibition The Hidden West Coast, a 4D movie is projected onto the surrounding walls and floor, while different scents and an artificial wind give the impression of being by the coast. 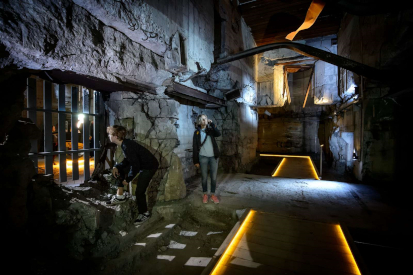 At The Tirpitz Bunker, meanwhile, darkness combined with light shows and sound effects recreate the feeling of being inside a bunker during World War II.